Most of us have become accustomed to receiving pre-approved and pre-qualified credit card offers in the mail. Sometimes, these “specialized” offers don’t seem so special when you keep seeing the same offer over and over again in the same shiny envelope. But we recommend you not always overlook those credit card offers in the mail — sometimes there can be great opportunities in your mailbox! However, we also want you to know that there are faster (and in some cases more specialized) credit card offers that can instantly be found online. Did you know many banks allow you to check your pre-qualified or pre-approved card offers directly on their websites? Today, we’ll tell you where you can easily go check, and what to expect when searching for pre-qualified offers from some popular banks. What’s the Difference Between Pre-Qualified & Pre-Approved Credit Cards? But what’s the difference? Does that mean you’ll automatically get approved for the card? Often, banks are observing potential customers’ credit profiles on a regular basis by conducting “soft pulls” of your credit. Soft pulls do not affect your credit score, but they do give banks the information they need to determine whether you’d be qualified for their credit card products. If they like what they see based on a soft pull, it’s likely they’ll target you with advertisements saying you are “pre-qualified” for their products. In contrast, pre-approved offers usually come when you’ve authorized the bank to conduct a “hard pull” on your credit report, which gives them all the detailed information in your credit profile and will affect your credit score. You may also receive these offers if you’ve had a long and established relationship with a bank, or have recently applied for credit and the bank already has a recent copy of your credit report. With both offer types, it’s important to remember that there is never a guarantee. All credit cards still require you to complete an application, and the banks will most likely look at your credit profile in detail during that process. We highly recommend that you understand your credit score and what’s in your credit report before deciding to apply for a new credit card. A higher score will lead to better pre-qualified or pre-approved offers! Be sure to always research and understand any credit card offer in detail before deciding if it’s the right one for you. Bottom Line: There’s never a guarantee that a pre-qualified or pre-approved offer from a credit card company means you will be approved, but it’s a good sign that gives you an idea of what the banks feel you’re most qualified for. Here we will show you the most popular banks that allow you to check your pre-qualified or pre-approved offers instantly online! If you’re in a rush to find that a credit card that’s suitable for your needs, such as the need to make a large purchase as soon as possible, see our post on cards for an instant approval. Or…use the “CardMatch Tool” — which shows you personalized card offers based upon your credit score. You can see these offers without pulling your credit. Update: These are currently the best pre-approved offers available. There aren’t many credit cards being advertised on Capital One’s front page, but you can find the Credit Card section in the first spot on their top menu bar. Hover your mouse over that section to reveal a drop-down menu where you can get pre-qualified offers for you or to respond to a mail offer. To see if you’re pre-qualified, you will need to take Capital One’s “Questionnaire,” which asks for a bit more personal information than the others. This one requires you to provide your full social security number! This should tip you off that it will probably just be a soft pull. While it’s likely that Capital One will only conduct a soft pull for pre-qualification, it will certainly conduct a hard pull on your credit if you ultimately decide to apply for one of their credit cards. American Express features a section on the front page of their website to help you “Find the Card that’s right for you.” You have the option to choose between personal cards, small business cards, and corporate card offers. Here, we’ll focus on personal offers. First, you’ll see a small selection of credit card offers under “Featured Cards,” but these won’t be personalized. It will ask you to provide some basic information to confirm your identity and the last 4 digits of your social security number. This will allow American Express to conduct a soft pull on your credit report and instantly create personalized offers just for you. If you are already an American Express cardmember, you won’t even need to provide that information — American Express is already monitoring your credit profile. All you need to do is log in to your account, and it will automatically display your personalized offers. It even shows you which cards you already have from the wide selection of cards offered by American Express. Looking for something specific? You can search for special offers based on your needs. 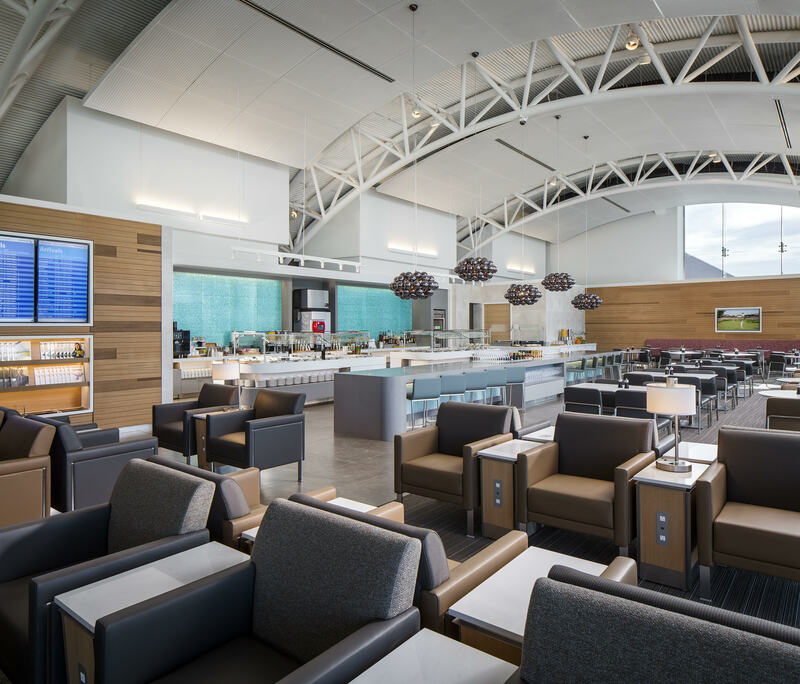 Travel rewards cards, cash-back, rewards points, no annual fee cards…and the list goes on. American Express wants to make it quick and easy to help you find specialized offers to satisfy your financial needs online! 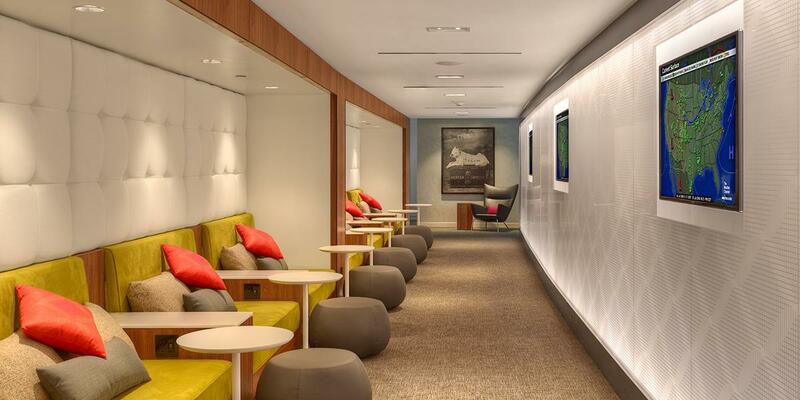 Hot Tip: American Express has been known to send some really special offers in the mail, especially for The Business Platinum Card® by American Express. Those require an RSVP code that can be entered if you choose to apply online. If you don’t have a specific credit card that you are looking to find a pre-qualified offer for, then CreditCards.com would be a great place to start your search. CardMatch is a great tool to see what type of pre-qualified offers are available to you with multiple banks. It’s basically a one-stop shop for pre-qualified offers! CardMatch requires your basic personal information and the last 4 digits of your social security number. It also provides information on how to view your credit score for free. There are lots of credit card offers from Chase, especially travel rewards cards, but it’s not as easy to find your specialized pre-qualified offers compared to other banks. This will take you to another page where Chase will provide information on some of their credit card products or services. The boxes that have a small green check mark are specially selected just for you, and mean you’re pre-qualified. 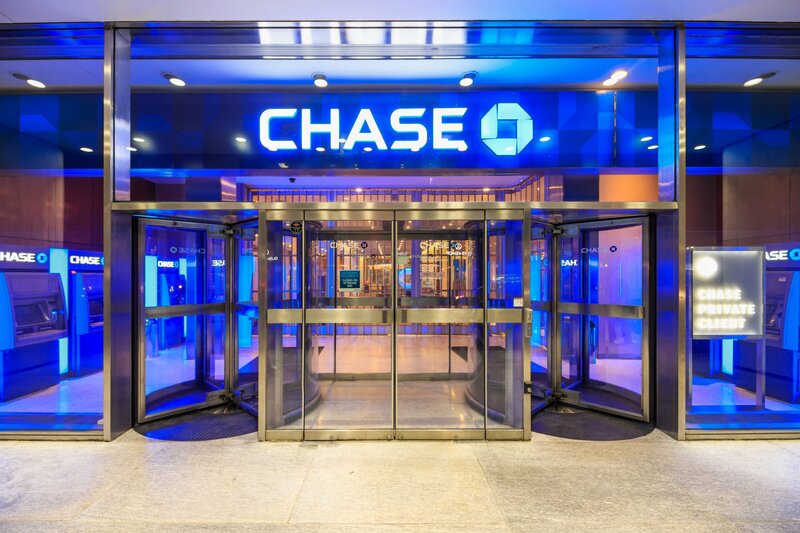 If you are not already a Chase customer, you have to go to a specific website and input some basic information to receive your pre-qualified offers. It does not appear to be easily found if you go straight to the Chase homepage. The information you provide will allow Chase to conduct a soft pull on your credit, which won’t affect your credit score. If you’re interested in what offers Chase has selected especially for you, just visit their pre-qualified offers page. Hot Tip: Remember, many Chase cards fall under their 5/24 rule, which almost guarantees a denial on your application if you’ve applied for more than 5 credit cards from any bank in the past 24 months. Bank of America also has a prominent spot on the front page of their website to help you “Choose the card that works for you.” But these are “featured” cards that are being heavily advertised to everyone, not personalized offers based on your credit profile. To help you find your personalized offers or other credit cards offered by Bank of America, you will need to click “Credit Cards” on the upper menu bar of the website. Once you’ve reached the customized credit card offer page, you will have the option of signing in or continuing without signing in. If you’re already a Bank of America customer, you will instantly get your customized offers. All you need to do is log in and select what type of card you’re interested in. You’ll have the option to search for cards that can help you earn travel rewards, cash rewards, build or rebuild credit, and more! If you are not already a customer, you will need to provide some personal information like name and address for them to perform a soft pull of your credit report. Then they will be able to offer you specific credit cards based on your interests and creditworthiness in less than 60 seconds! Citibank makes it incredibly easy to find pre-qualified offers right on the front page of their credit card website. You might need to scroll down a bit when you reach their credit card homepage, but that’s where you’ll find the link to get your pre-qualified offers. This is another basic questionnaire that requires your name, address, last 4 digits of your social security number, and what type of credit card you’re most interested in. After completing that and acknowledging that completing the form won’t affect your credit score, Citibank will provide their pre-qualified offers just for you! If you received a pre-qualified offer in the mail, you can also look at Citi’s credit card homepage and find where to apply that offer there. All you’ll need to do is input the invitation number, and Citi will pull up your custom credit card application. 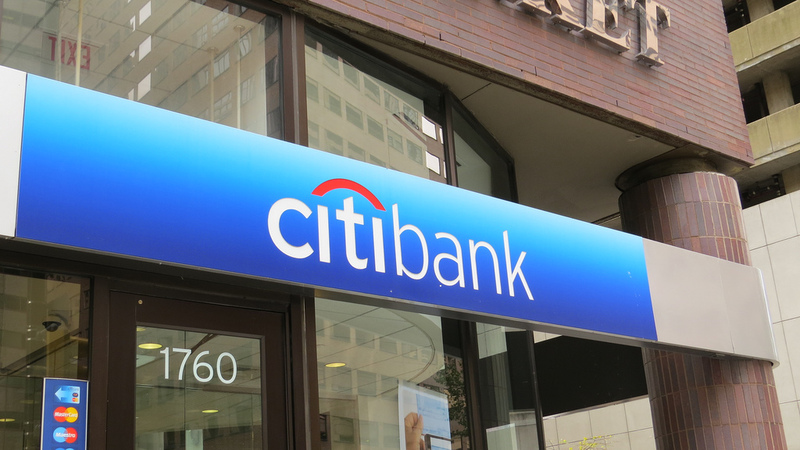 Check out our article for more information on the best Citi credit cards, including their benefits and perks. You might not be too familiar with Credit One since they don’t offer travel rewards cards and only seem to offer a few different credit card products. Credit One is an interesting option for those looking to build or improve their credit since they focus on providing services to people with bad credit. Be aware that most credit card companies that focus on advertising their products to people with bad credit have extremely high interest rates and fees. Hot Tip: You should know whether you have a good or bad credit score, and you can easily check it for free with a number of services. We recommend Credit Karma! The best way to be sure if a Credit One credit card is the right choice for you is to see if you have any pre-qualified offers. All you need to do is go to their main website, and you’ll find an option to easily see if you’re pre-qualified for any of their products (or respond to a mailed offer. 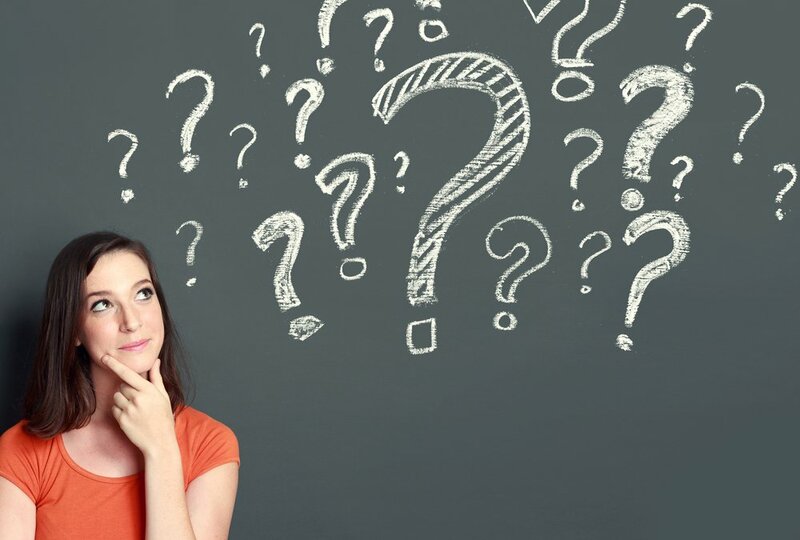 There are a few additional questions that some of the other banks don’t ask, like total monthly income, phone number, and email address. It’s important to note that when submitting the pre-qualification questionnaire, you’re acknowledging that Credit One can share certain information with third parties. Credit One also requires your full social security number, but it guarantees that using the form will not affect your credit score. Discover wants to help you determine what card you’re most qualified for. The best part about Discover is that it gives you 2 options: to see what cards you are pre-qualified for, as well as what cards you are pre-approved for. Both forms ask for your basic information, but the pre-approved form does have quite a few more detailed questions — it almost resembles a full credit card application. The good news is that neither of these methods will affect your credit score; but if you do decide to apply for one of their offers, then they will perform a hard pull on your credit. Discover has a wide range of credit card options in their portfolio, including travel rewards, cash-back cards, and cards designed especially for students. Both forms actually ask specifically if you are are a current student. This could be a great option for students to see if they would be pre-approved for one of the student credit cards and start building their credit history! USAA does offer a few rewards credit cards that could be of interest to current USAA members. These credit cards mainly focus on cash-back and USAA Rewards™. To become a USAA member, there are some specific qualifications you need to meet; these are mainly targeted toward members of the military and their families. You must already be a member to check your pre-qualified offers with USAA, so checking these offers isn’t for everyone. After you input your personal information (name, address, and last 4 digits of social security number), you will instantly get a list of pre-qualified offers. US Bank does offer quite a few travel rewards credit cards like their Flexperks rewards program, and they offer few random (but useful!) co-branded cards with partners like Korean Air. Again, checking your pre-qualified offers with US Bank will not affect your credit score — but if you do decide to apply, they’ll conduct a hard pull on your credit. Wells Fargo doesn’t make it very easy to check your pre-qualified offers unless you already have a Wells Fargo account. For current Wells Fargo customers, all you need to do is log in to your account and click the “Products and Offers” tab to find any pre-qualified offers that you would be targeted for. Potential Wells Fargo customers have no way to see if they’re pre-qualified for any of these credit card offers. You’ll just have to apply and see what happens! You don’t always need to wait for the mail to arrive to check on your pre-qualified offers from these popular banks. We hope this list gives you a good starting point to see what type of credit cards you qualify for. Most pre-qualified or pre-approval forms you fill out will not affect your credit score at all. This is a risk-free way to see what type of cards may give you the best chance for a speedy approval! It’s important to remember that even though you may be pre-qualified or pre-approved for a certain credit card, that doesn’t guarantee you’ll be approved if you decide to apply. Luckily, these forms are easy to fill out, and they do offer a quick way to see what credit cards you are most likely to be approved for. Pre-approved credit card offers are typically when the bank or card issuer has determined that you meet the eligibility for that specific credit card based on your credit profile. How do I get pre-approved credit card offers? Most people are used to seeing pre-approved credit card offers in their mailbox, but here we’ve listed ways for you to proactively check what offers you are pre-approved for from specific card issuers. If you are searching for multiple pre-approved credit card offers from various lenders, we recommend starting with CardMatch. Are pre-approved credit card offers a hard inquiry? No, banks should not be conducting hard pulls on your credit without your explicit approval. Most card issuers will conduct soft pulls on your credit report to determine what products they can pre-approve you for. Do pre-approved credit cards hurt your credit score? No, pre-approved credit card offers are mostly determined by a soft pull of your credit report. Soft pulls do not have any effect on your credit score. Only hard pulls, like when completing a credit application will have an impact on your credit score. Can you be denied a pre-approved credit card? Yes, pre-approved credit card offers are never a guarantee. It’s possible your credit report changed since the card issuer determined you were pre-approved for a specific offer. That is why card issuers still need to conduct a hard pull on your credit report to determine if you still meet the eligibility requirements for approval. 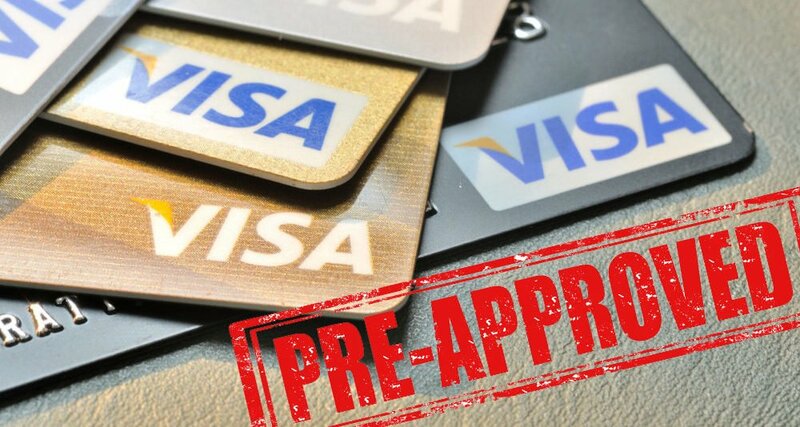 Are there pre-approved credit cards with no annual fee? Yes, pre-approved offers are not limited to premium credit card offers as we’ve detailed in this post. It’s always important to fully understand the terms and conditions before applying for any credit card, including the annual fee. CardMatch offers an easy way to view pre-approved credit card offers that have no annual fee. All you have to do is select “No Annual Fee” in the “Features” section on the left once you see your offers and it will limit your offers to just those special cards! Are there pre-approved credit cards for students? Yes, there are pre-approved credit card offers especially for students. Discover is probably the most popular card issuer for students, but don’t be limited to only student cards. Students are able to see other pre-approved credit card offers (like travel rewards cards) but it might be more difficult without a long credit history. It’s best for students to fully understand how to build their credit score so they can take advantage of those type of offers in the future. How do I stop pre-approved credit card offers? To opt-out of pre-approved credit card offers for 5 years, you can call toll-free 1-888-5-OPT-OUT (1-888-567-8688) or visit optoutprescreen.com. If you do not want to go the easy route with the FTC Opt-Out process, you can also write to each individual credit consumer reporting companies (Equifax, TransUnion, etc.) and opt-out that way. How to Cancel a Credit Card, and Is It Bad for Your Credit Score? I’m looking to get a whole house generator from a co. called Bates Electric. It’s a generac generator. I have a disabled son who needs electric to get in the house, electric bed, ventilator, electric wheelchair, and an elecrtric ceiling lift. In our area we lose power all the time due to storms and power outages. I’m looking for a charge card that will pay for this. Can you help me?